My CP600 printer works okay but the photo I printed has a white strip across the paper. I'm using the Canon paper and ink. I have cleaned it, could you tell me if you have any idea what is wrong? Reliable and cost effective, printing with the Canon CP600 gives high quality results fast. Unavoidably your Canon CP600 will run dry of printer ink, and when that does happen you'll soon come to realise that ordering Canon CP600 ink is typically pricey. Thank goodness you do not need to fret about forking out the steep fees you'll find on the main street because here at Cartridge Save you can order all the Canon CP 600 cartridges you will want at very low prices. Save more money on your ink by purchasing online with Cartridge Save! Don't pay high prices on the CP-600 original cartridge or CP600 compatible ink on the main street when you can easily save a bunch of cash buying with Cartridge Save. Get complete peace of mind when you purchase Selphy CP600 ink cartridges from us as they are all underwritten by a no quibble money back guarantee. Keep in mind that every order also has free delivery, normally arriving at your doorstep the next working day! Printing photos is easy with the stylish Canon Selphy CP600. This dye diffusion printer is capable of printing a maximum of 300 x 300 dpi for up to 4 x 8 media. It supports borderless printing and can be used even without a computer. Of course, with its small size, it can't print on large media, and speed is average, at best. The Canon Selphy CP600 comes in a cool silver colour. It features USB ports and has an infrared port on the front. The paper cassette folds in neatly inside the printer to make a compact rectangular block. 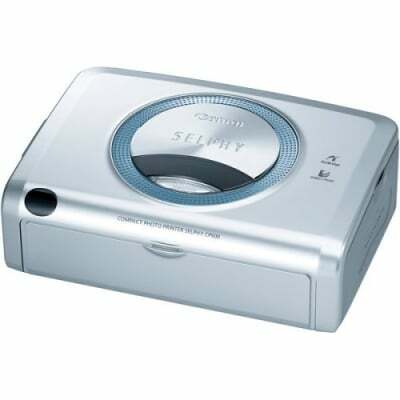 The Selphy CP600 uses 3 colour inks and has an auto feed from the paper cassette. Printing while on vacation is a breeze with the Canon Selphy CP600. Not only is it lightweight – it also works with both a battery pack and a compact power supply. Printing by camera is easy (whether it is a Canon camera or not), thanks to the PictBridge port. The Canon Selphy CP600 also works with both Windows and Macintosh computers, plus camera phones with IrDA. Though the prints of the Canon Selphy CP600 are of high-quality, print speed is relatively slow. This CP600 photo printer also lacks memory card slots.